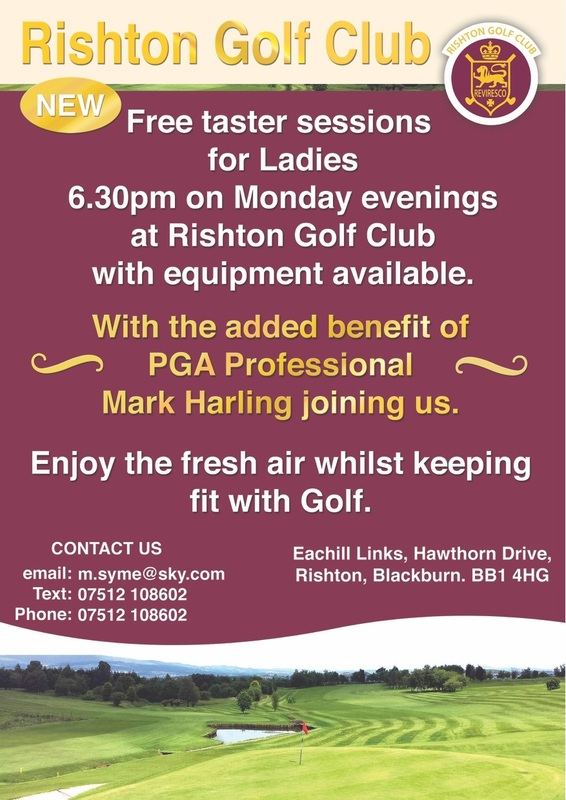 Ladies… come and enjoy the fresh air whilst keeping with Free golf taster sessions. Equipment will be provided for the session and you will be guided along with the help of our PGA Professional Mark Harling. 6:30pm on Monday Evenings at Rishton Golf Club, for more information Contact Margaret Syme on m.syme@sky.com, text or phone on 07512108602.